Sorry, on-line registration is now CLOSED. 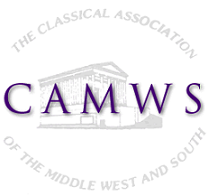 The 115th annual meeting of the Classical Association of the Middle West and South will take place April 3-6, 2019 in Lincoln, Nebraska at The Cornhusker at the invitation of the University of Nebraska. The Local Committee has prepared this Slideshow inviting you to Lincoln as well as this Visitor's Guide and wants you to remember that "Lincoln is better than you're thinkin'!" 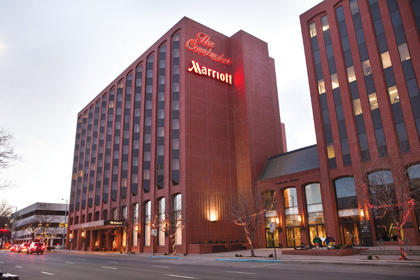 Book your hotel room at the group rate for CAMWS 2019 Lincoln here. 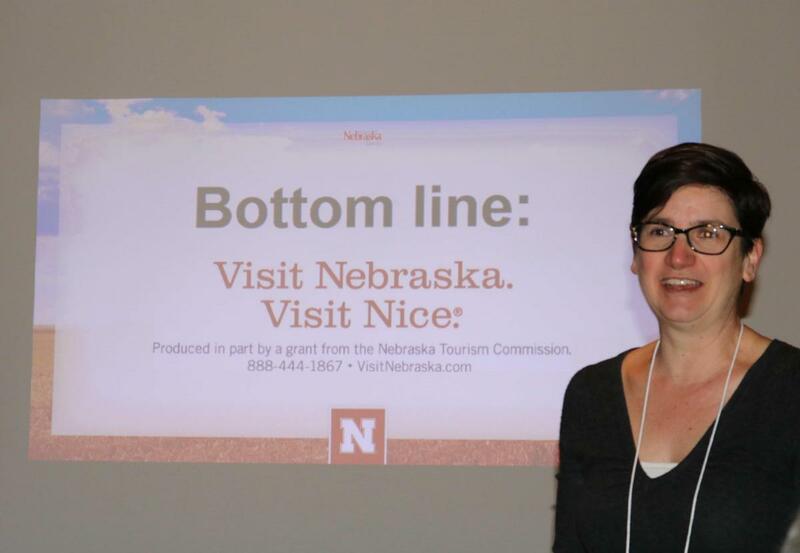 (The contracted room rate at the Cornhusker for CAMWS is $129.00 per night plus taxes.) By the way, the Cornhusker is a Green Hotel. Please note that the Cornhusker no longer has any rooms available at the conference for the night of Wednesday, April 3 (but you might try booking through hotels.com). Some rooms are still available for April 4-6, but they are going fast. Sorry, on-line registration is now CLOSED. Registration on-site registration will, however, be available. All cancellation requests must be made by March 25, 2019, and are subject to a $20 administrative fee. A shuttle service called OMALiNK that runs vans between the Omaha Airport (OMA) and Lincoln. Normally, the fare is $60 each way. There is a UNL faculty/staff discount that lowers it to $55 each way. Corey at OMALiNK is offering CAMWS members a rate of $50 each way, with the possibility that, if he gets large groups and needs to bring a bus rather than a van, he may lower it to $35. (The price from the Lincoln airport, LNK, is $15 each way, but the Cornhusker Marriott has a free airport shuttle from the LIncoln Airport. Preferred booking by March 15th [if he needs to arrange a larger bus, he will lower the fare further]. Here are the panels and workshops accepted for CAMWS 2019. Here are the individual abstracts listed alphabetically by title and by last name of presenter. Handouts and other materials uploaded by presenters can be accessed at camws.org/2019-meeting-uploads. Presenters are advised to contact camws@camws.org for instructions about uploading. New this year: CAMWS is planning a display of recent books by CAMWS authors at the 2019 meeting in Lincoln. If you have had a book published in the last three years and would like your book included, you are welcome to bring along a copy to add to the display or have a copy mailed from the press in advance to the CAMWS office at the following address: CAMWS Author Book Display, c/o Monmouth College, 700 E. Broadway, Monmouth IL 61462. The covers of those books received at least a month in advance of the meeting will also appear in the program as part of the advertisement for this display. You do not have to attend the meeting to have your book displayed. Teachers who would like to earn Continuing Education Units (CEU's) for attending the meeting do not have to do anything in advance. When they arrive, they should simply ask at the CAMWS registration desk for a CEU application form. Before leaving the meeting, they should return the completed form to the CAMWS registration desk. Subsidized childcare by licensed providers will be available for CAMWS attendees at the Lincoln Children's Museum, a short walk from either the Cornhusker or the university. If you will be in need of childcare at CAMWS 2019, please send a message to camws@camws.org describing your need (number of children, ages, and days/times) and we will send you more information. Please be aware that submission of an abstract implies a commitment to present the paper in person in Lincoln. In the rare instance that a paper must be read in absentia due to extenuating circumstances, the author is expected to arrange for a reader at the appropriate session and also to register for at least one day of the meeting. Here is a draft of the minutes of the 2018 Business Meeting in Albuquerque. These minutes need to be approved by the membership at the 2019 meeting in Lincoln but are open for revision and correction until then. CAMWS endorses the Statement on Professional Ethics of the Society for Classical Studies and this Code of Conduct at Meetings.